Vagabundos, the DJ, club and event collective from Luciano’s Cadenza stable, returns for its biggest year yet. Holding fort every Sunday at Ibiza’s Pacha club over the last 3 years, as well as hugely successful events in London, Chile, Bucharest, New York, Tokyo, Naples and more, the Vagabundos parties have become the stuff of legend earning them numerous accolades of Best Ibiza Night and most recently (jointly with Richie Hawtin’s Enter parties) by the Ibiza DJ Awards 2012. And so the collective re-group for what promises to be a huge 12 months, and kickstarting it all is this double mix album from two of the Vagabundos DJs; Argy and Andrea Oliva. No stranger to the electronic music scene; Andrea Oliva has had a huge 12 months, with his profile ascend to dizzying heights with releases on Cadenza, Saved, Be As One and DJ Sneak’s Magnetic, whilst Argy continues to shine with his pure house sounds appearing on Ibadan, Versatile, Dennis Ferrer’s Objektivity and his own These Days label, the duo join together to mix a superb 2 hours plus of Vagabundos vibes. Two more Vagabundos mix albums are planned for 2013, one at the start of the Ibiza season, and one at the end, truly representing the Vagabundos events and parties scheduled for this year. 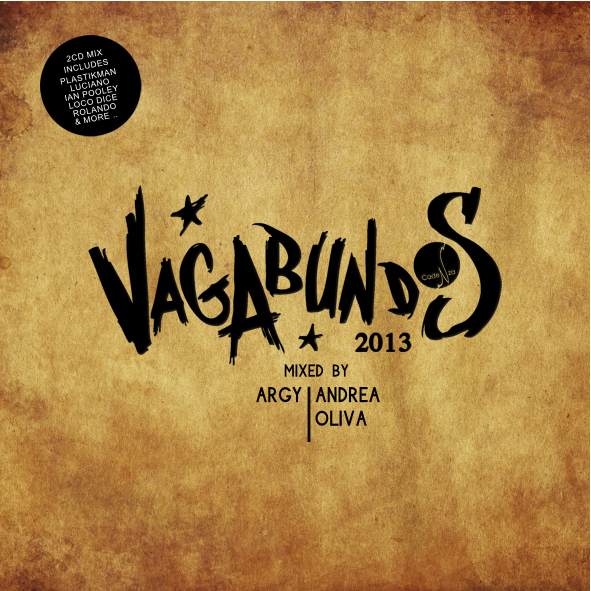 Vagabundos 2013 - Mixed by Argy & Andrea Oliva, is releases on March on 2CD, digital album, and special 12" vinyl sampler.